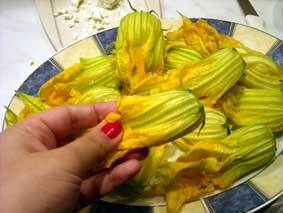 In Greece in the late spring, zucchini flowers fill up the markets. There are 2 kinds: the large sturdy flowers that grow on the stalk of the zucchini plant and the smaller, more fragile ones that sprout out of the actual zucchini. Greeks generally prefer the sturdier ones because they’re easier to work with. 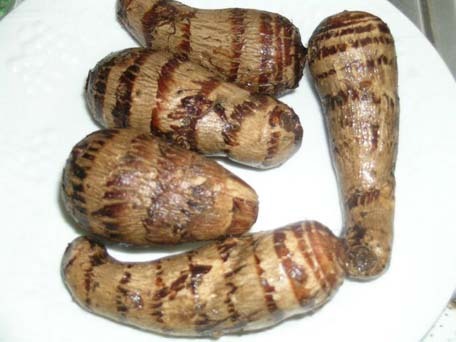 These are sold together with the stalks and the leaves in Greek markets. 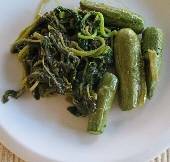 This unusual recipe is one more addition to the endless litany of lathera, basically stewed vegetables with ample olive oil. 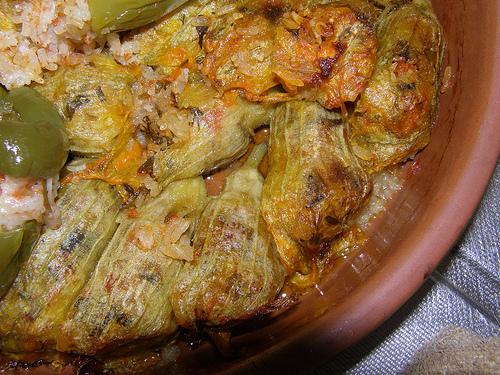 As for finding the zucchini stalks, leaves, and blossoms, they are available at some ethnic markets in America and through several specialty mail-order houses. 1. Trim the root ends off the zucchini stems. Cut the stems into 2-inch pieces; coarsely chop or julienne the leaves and blossoms, keeping them separate. 2. Heat half the oil in a stewing pot or Dutch oven over medium heat, add the cubed celery root, toss to coat in the oil, cover, and steam in the oil for 5 minutes. Add the garlic and stir to mix. Add the zucchini stems and leaves, again tossing to coat. Pour in just enough water to come about halfway up the contents of the pot. 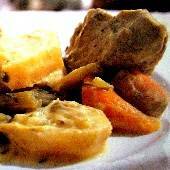 Season with salt and pepper, cover, and simmer over low heat until all the vegetables are soft, about 25 minutes. Add the flowers to the pot and continue cooking, covered, for another 10 to 15 minutes, until all the vegetables are very tender. Just before removing from the heat, pour in the lemon juice and the remaining olive oil.